You are here: Home \ Who will care for me? Who will care for me is a common worry of many elders. As seniors age, they can often worry about who will provide the care they need. They worry about how they will complete the simple everyday activities. About what will happen if an emergency arises and how they will get help for the daily aches and pains. 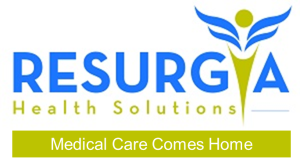 At Resurgia Health Solutions, we are committed to providing in-home medical care, so that our seniors have one less thing to worry about. We will care for you.